When you plant with butterflies in mind, nothing screams “success” like the sight of these beauties dancing from flower to flower. Add the following vital elements to your yard, give it some time and you’ll have butterflies showing their appreciation for your hospitality. They’ll be a visual feast for you. For them, your bountiful offerings will make their hard lives easier. Like all other wildlife, butterflies need food, water, resting places and shelter. 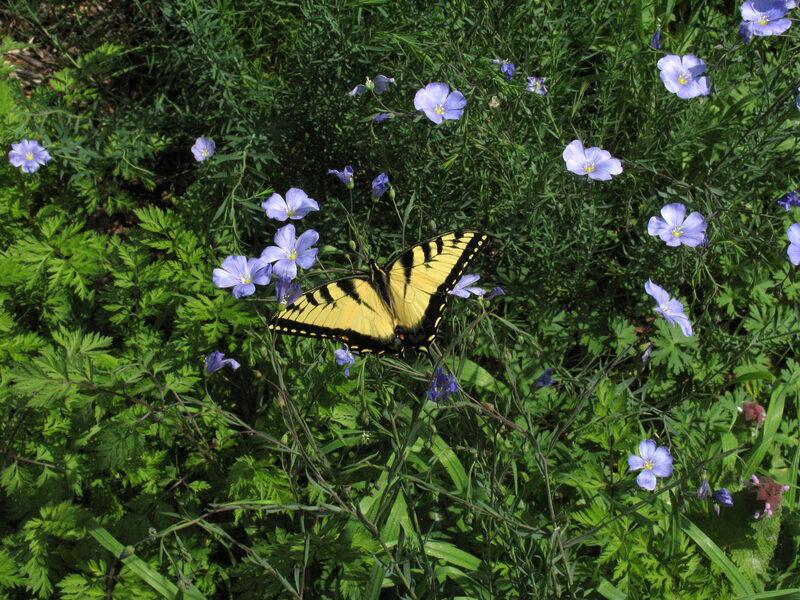 Provide nectar plants for adults to feed on and host plants for their caterpillars to feed on. Plant many different varieties so there’s always something in bloom for adults to feed on. When one variety stops blooming, there should be another beginning to bloom. Choose varieties that have either flat-topped blooms or short flower tubes. This allows butterflies to reach the nectar with their proboscis. Butterflies can see colors and respond best to red, orange, purple and yellow. Adults feed in the sun, so plant your garden where it will get at least half a day of sun. Place in your garden a saucer of water or a shallow birdbath with flat stones rising slightly above the water level. Some adult butterflies like mud. Mud provides water, as well as minerals they can’t get from nectar. It’s as easy as filling a large saucer with soil and keeping it moist. Mud puddles are so popular, you may see large gatherings there.